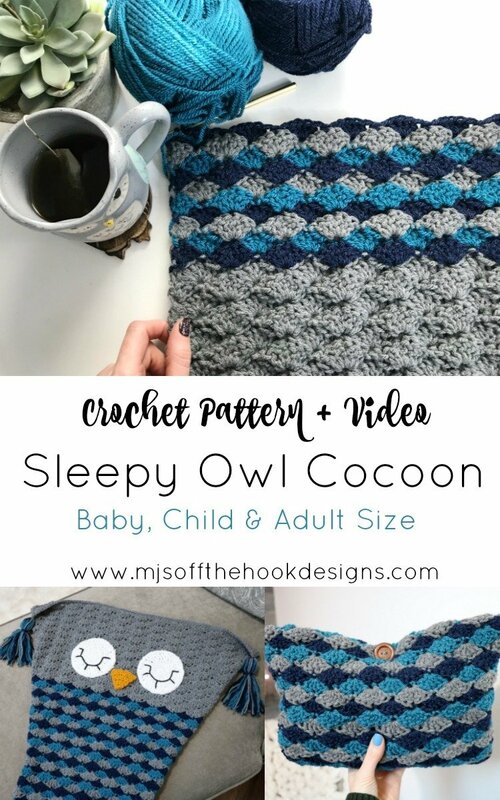 Our Newest Blanket is the Sleepy Owl Cocoon Blanket! I’ve been dying to make another cocoon style blanket. A couple years ago I designed an owl car seat cozy and was asked on several occasions for an Adult version. I FINALLY have designed a similar blanket and it includes a baby, child and adult size! I’m so in love with the big squishy shells in this design. A combination of 3 colours really make the shells pop! Watch how to crochet the Shell Stitch in Rows and Rounds on Youtube! Our Owl blanket Cocoon takes into consideration how cold our feet get! I love being able to tuck my feet into this blanket so they stay warm. I might just bring it right into bed with me! I have so many blankets I’m always looking at neat ways to store them when I create a new design. I love that my hooded blankets fold into the hood and my Beach Blankets fold into a bag. 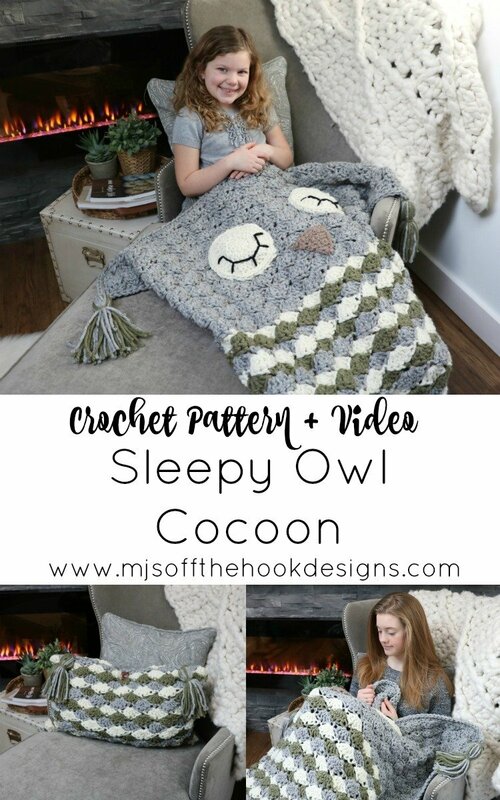 Our Sleepy Owl Cocoon Folds into a pillow to display on your bed or couch. Seriously how cool is that! I love the pillow almost as much as the blanket! Leave tassels in or outside of the pillow. Check out how tiny and cute the baby size pillow is! My Child and Adult Size blanket are made with Super Bulky yarn. 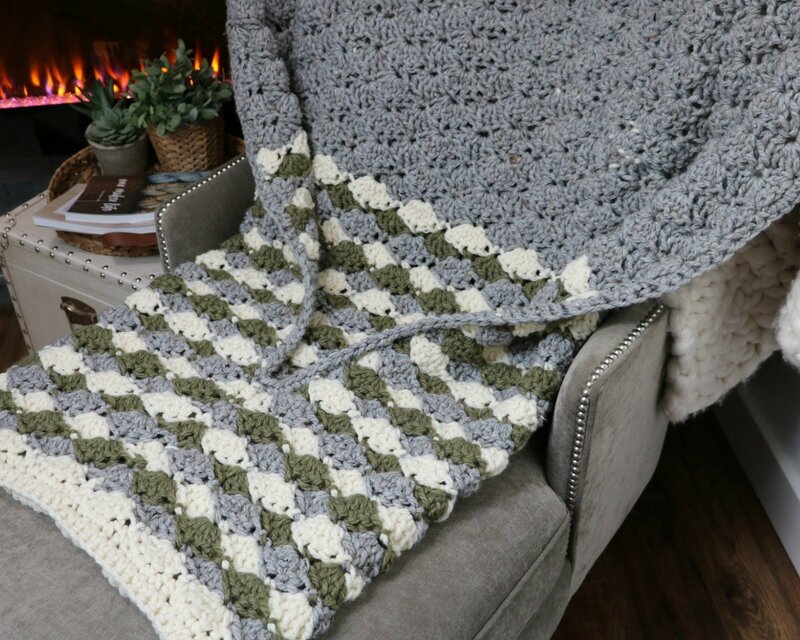 By dropping your hook size and using only worsted weight yarn you can make a baby size blanket. 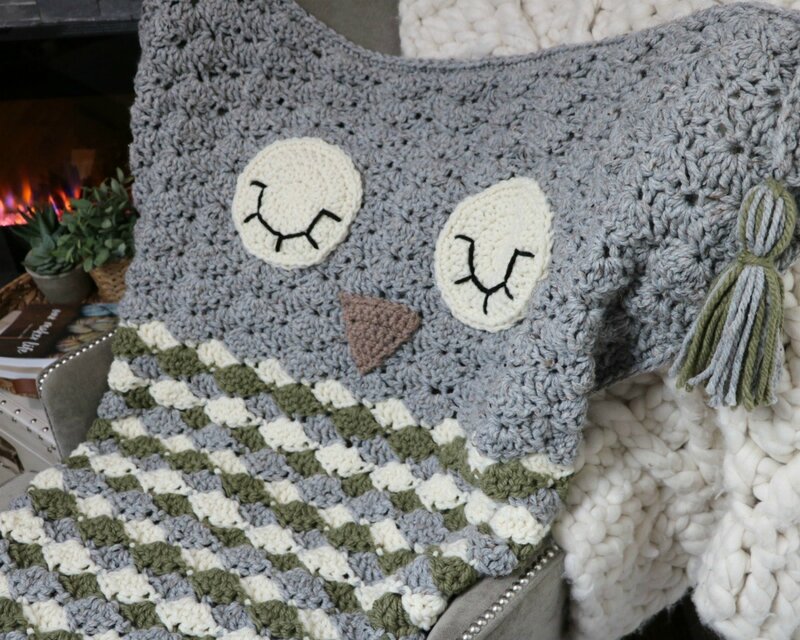 This blanket would work perfectly in a car seat, swing, bouncy chair or just to snuggle up your little bundle of joy. The PDF Crochet Pattern includes all 3 sizes, lots of photos and the YouTube video to help you along with the shell stitch pattern. I hope you enjoy making this blanket!